Michael Daniel Ho - The Wildlife Ho-tographer: Will The Canon EOS-1D X Camera Be Offered In A Mirrorless Version In The Future? Will The Canon EOS-1D X Camera Be Offered In A Mirrorless Version In The Future? 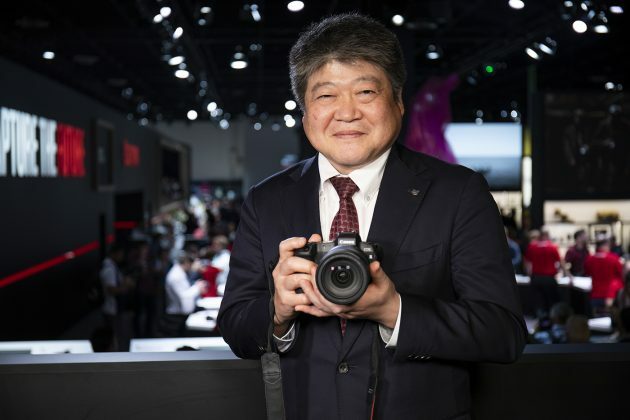 Amateur Photographer (AP) editor Nigel Atherton recently interviewed three top Canon executives to discuss the new EOS R camera system. Mr. Shingo Hayakawa (SH) is the Deputy Group Executive, ICB Optical Business Group, Image Communications Business Operations. Mr. Masato Seita (MS), is the Manager, ICB Products Development Dept 11, Image Communication Business Operations, and Mr. Minea Uchida (MU) is the Manager, ICB Integrated Business Design Dept. 333, Image Communication Business Operations. Below is an excerpt from the AP interview with the three Canon executives. If and when Canon brings out a full frame mirrorless version of the EOS-1D X Mark II camera (something I have been advocating for years), I will be the first photographer to put in my buy order.